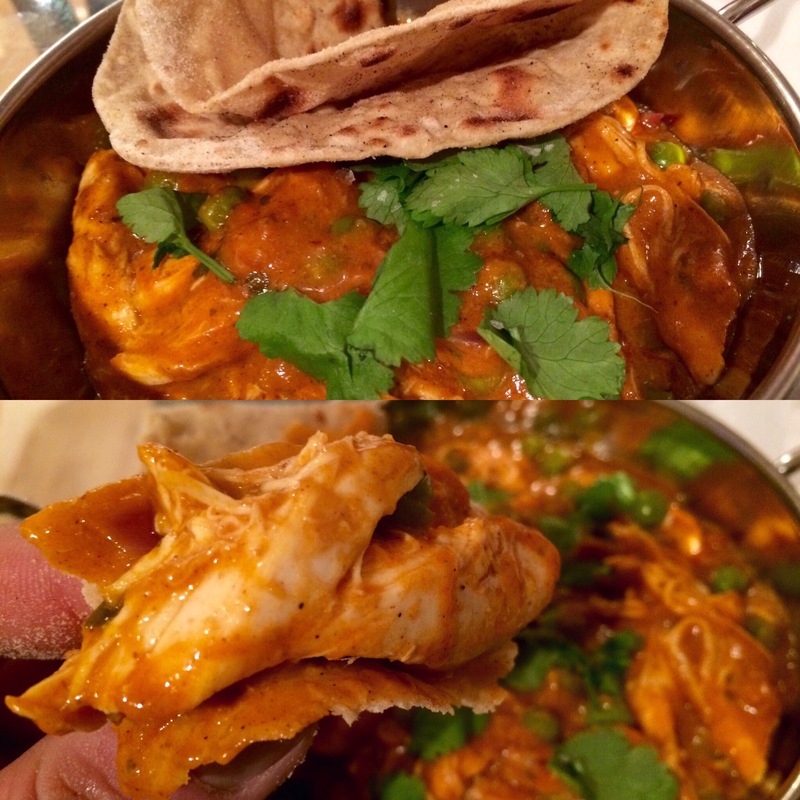 Home › Dinners/Suppers › Did someone say super speedy free range rotisserie chicken pea curry with rotis? Did someone say super speedy free range rotisserie chicken pea curry with rotis? Having scored a cracking deal on a rotisserie chicken.. Like a seriously crackalackin deal! That means supper for the hounds and choosing some of the more delectable pieces for us..
And how to make this super speedy chicken masala? Take the nice pieces of free range rotisserie chicken.. add a jar of #sharwoods tikka masala sauce .. Some chopped red onion and frozen peas ( probably the best invention for the frozen world ever right?).. Umm that really is it! 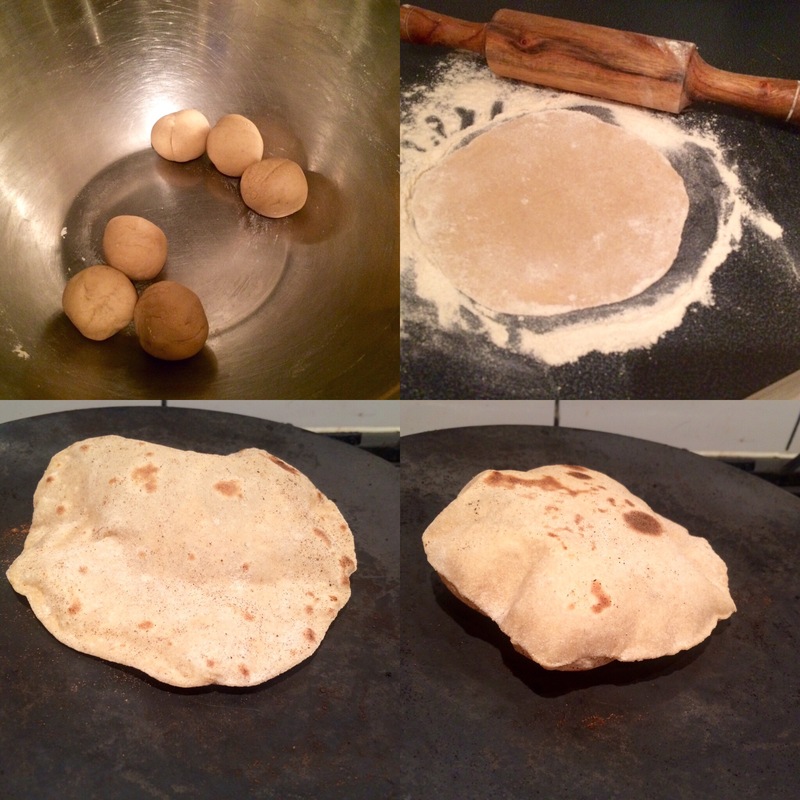 The rotis made with atta flour and water.. Kneaded, rolled out and cooked on the iron flat pan..nice and puffy! Warming the curry back up in a pan rather than chef ping helping out here..
A flourish of coriander ..
Juicy tender super speedy chicken curry..
‹ Moroccan hogget curry type thingy with zatar breads … Really rather tasty! 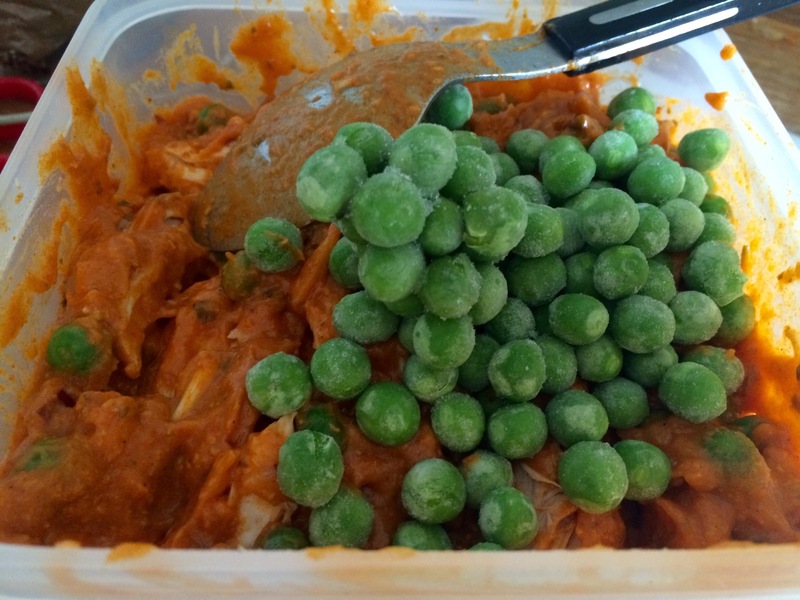 I agree, frozen peas are a staple and the only frozen vegetable in my freezer! Looks easy and delicious.